The State of Tennessee officially broke ground on the Tennessee State Library and Archives building during a ceremony held Monday, December 11, 2017. State officials, including Governor Bill Haslam, Lt. Governor Randy McNally, Speaker Beth Harwell, and Secretary of State Tre Hargett, were on hand for the ground-breaking. 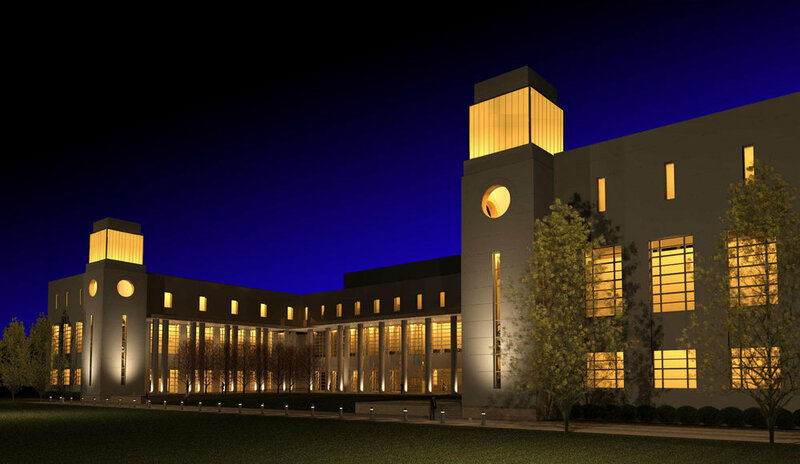 The new 165,000 square foot facility will house state government archives, records, books, and photographs, and feature classrooms, meeting space, and rotating exhibits designed to make state archives more accessible to the public. The building will be constructed at the corner of Sixth Avenue North and Jefferson Street in Nashville, adjacent to Tuck-Hinton-designed Bicentennial Mall. The building's location helps fulfill the original plan for Bicentennial Mall, which called for public buildings to line the park extending north from the state capitol building.